Organizations are increasingly complex, requiring flexibility to implement significant, rapid change that goes beyond the ability of an individual leader or CEO. A high-performing and cohesive leadership team is critical for success. Leadership Team Coaching in Practice presents enlightening case studies on how leadership team coaching techniques have been applied internationally across a variety of team types and industries, including professional services, pharmaceuticals, airlines, healthcare and finance. With expert contributions from chief executives, team coaches, team leaders and consultants, this practical guide illustrates best practice tailored to the needs of each organization. This fully updated 2nd edition of Leadership Team Coaching in Practice includes new case studies and addresses hot topics in systemic leadership coaching theory. Answering questions such as how do you get the most from working across multiple teams? how should inter-team coaching be approached? and how do you coach millennials and tech start-ups?, it helps foster collective transformational leadership, whatever the business sector and type of team. Ideal for executive coaches, organizational development consultants (OD), HR leaders and aspiring managers, it shows how to develop leadership teams that can implement strategic change effectively and sustain competitive advantage. In Leadership Team Coaching in Practice, you will find ideas, tools and techniques which can transform your organization to enable you to maximise the impact of the top team by thinking differently about how that team itself works. With additional case studies in this edition, it shows how leadership teams can evolve to cope with a world in which we have to produce more, for less, at a higher quality, and quicker. A game-changer for the increasingly pressured top teams. This is a great addition to Peter’s previous book on Team Coaching. 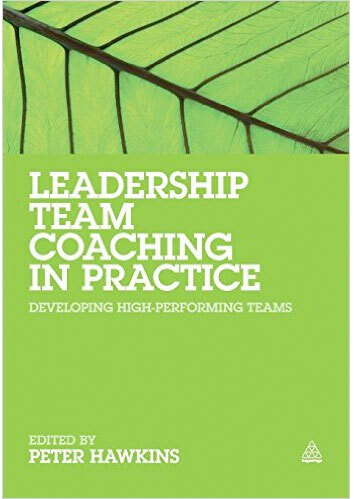 It consists of chapters written by a range of practitioners who describe and reflect on their practice during recent organisational Team Coaching assignments. In my experience it is rare to get good practice insights but these are well written and give sufficient insight to be really useful and full of new ideas. Peter’s chapter on Evaluation of Team Coaching is new and well worth reading. Leadership Team Coaching in Practice brings to life the concepts and ideas for those interested in tea workings, team development and team performance to provide useful insights and shared experiences from organisations from across the global. The perfect companion to Leadership Team Coaching.